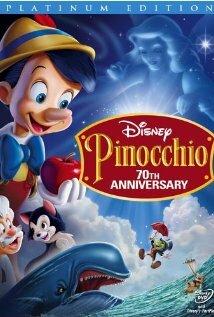 Pin occhio is another great classic Disney movie to watch with your children this year. It celebrated a 70-year anniversary not too long ago, so this film is sincerely a classic film. The moving storyline makes it a must for those who love light-hearted fairytales. For those who have never seen or heard of the story of Pinocchio, the main character is a wooden puppet that wants more than anything to become a real boy for his creator. He goes on a journey with a cricket who acts as his conscience. You will have to watch the film to see, if he succeeds or not for yourself. To learn more about the movie, you need to visit http://www.imdb.com/title/tt0032910/?ref_=sr_1. This film receives a five out of five popcorns rating.